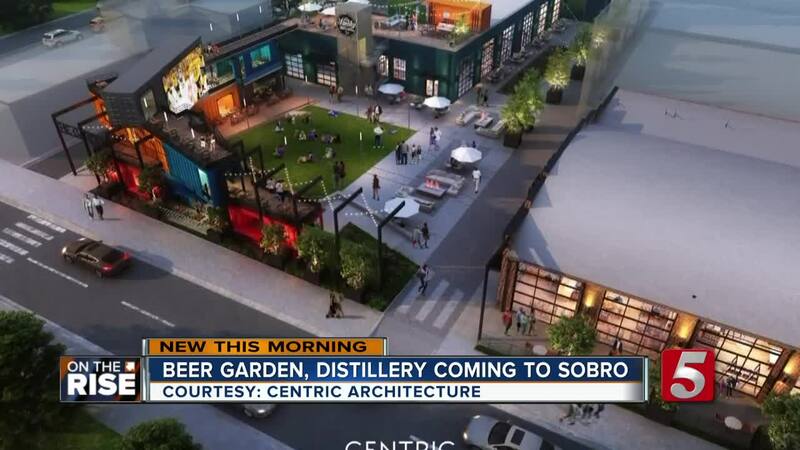 East Tennessee staples Ole Smoky Distillery and Yee-Haw Brewing Company will soon be under one roof in Nashville’s SoBro neighborhood. NASHVILLE, Tenn. (WTVF) — East Tennessee staples Ole Smoky Distillery and Yee-Haw Brewing Company will soon be under one roof in Nashville’s SoBro neighborhood. The indoor/outdoor development located at 6th Avenue and Peabody Street is still a work in progress. The development is unique with multiple levels – and some of the buildings are made out of shipping containers. Centric Architecture released renderings, showing rooftop bars, tasting rooms, restaurants and a theater or music venue. On any given day, the distillery and brewer are advertising there will be at least six beers on tap and ten moonshine flavors being poured. The development was originally slated to open the second half of last year.